Dr Vadim Mirmilstein is a consultant Obstetrician and Gynaecologist with a special interest in female and male fertility and IVF, Advanced Laparoscopic ("keyhole") Surgery, General Gynaecology, Obstetrics and Cosmetic Vaginal Surgery. 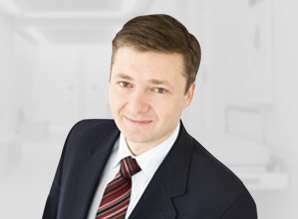 Vadim has more than 20 years of experience in Obstetrics and Gynaecology. He was trained as an Obstetrician and Gynaecologist at the Royal Women’s Hospital in Melbourne, and then completed a Fellowship in Advanced Laparoscopic Surgery at the Royal Women’s Hospital and training in infertility at the Melbourne IVF Reproductive Biology Unit and City Fertility Centre. Dr Mirmilstein is an experienced and well trained surgeon with clinical interest and expertise in fertility and IVF, advanced endoscopic surgery, endometriosis and providing modern obstetric care including high risk obstetrics. He is the one of a very few Gynaecologist in Melbourne who performs the majority of operations including myomectomies (removal of fibroids) and hysterectomies via laparoscopic ("keyhole") approach. Fluent in English, Russian and Ukrainian, Vadim currently works and has admitting rights at The City Fertility Centre, the Royal Women's Hospital, Epworth Freemasons & St. Vincent's Private Hospitals, Frances Perry House, The Avenue Private Hospital. He is a member of the Fertility Society of Australia (FSA), the Australasian Gynaecological Endoscopy & Surgery Society (AGES) and is a Fellow of the Royal Australian and New Zealand College of Obstetricians and Gynaecologists (RANZCOG). Vadim completed and was awarded Masters of Reproductive Medicine from the University of NSW.